In the ten different Influencer Relations’ Analyst Firm Awards for 2014 (AFOTY14) rankings published this week, there is one that matters more than any other: the Global Top 10. This is the one award that brings together all the data from the Analyst Value Survey and shows who is delivering value in the opinions of those who use them. We think these awards are special because they build up a methodology that we tested last year and improved with the help of some smart analysts and colleagues. The Analyst Value Survey results are still more valuable and more detailed: over 180 pages. But in these awards we distill a simple and powerful ranking from data. It’s popular, with over 300,000 impressions on twitter and some shrewd questions coming in from readers. Gartner. Gartner is far and away the winner of the survey. 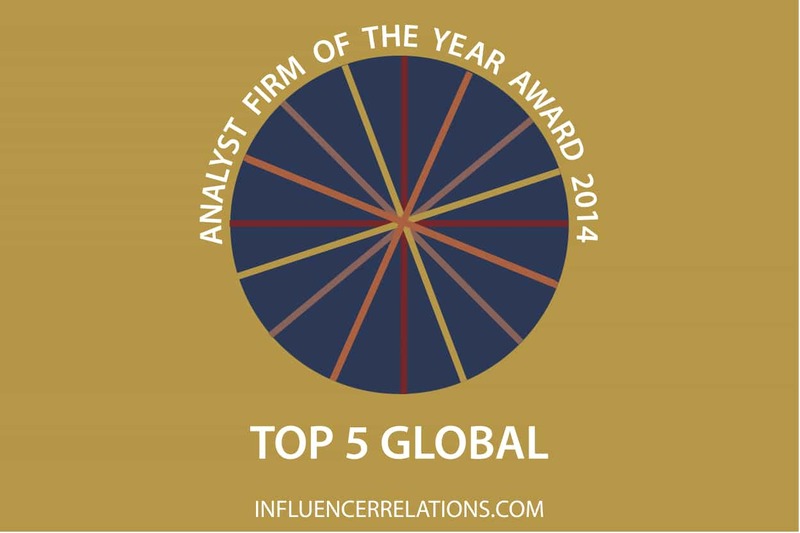 It has many more users than Forrester, the runner-up, and the highest value of any firm. Forrester’s much closer to Gartner than its market share would suggest. People who say their firms subscribe to Forrester are more likely to use Forrester than Gartner clients are to say they use Gartner. HfS Research’s third place in this ranking is astounding. It doesn’t have the volume of paid users of Forrester and IDC (or, indeed, of Ovum or Everest Group), yet its reach is astonishing, and the high rating people put on the firm’s independence also means it punches above its weight. IDC is also much closer to Gartner and Forrester on many points than its market share would suggest. It’s a huge firm, and most people who use Gartner also use IDC. People say that clients mention it. If we had counted IDC’s sisters, IDC Financial Insights and IDC Manufacturing Insights, insider IDC then it might have been higher up. Digital Clarity Group was the big surprise. More people on the demand-side commented on the DCG than on the supply-side, and very positively, especially on the software, services and cloud side of things. But that that explains the firm’s low profile with the vendor community and on the telecoms and hardware side of the market. 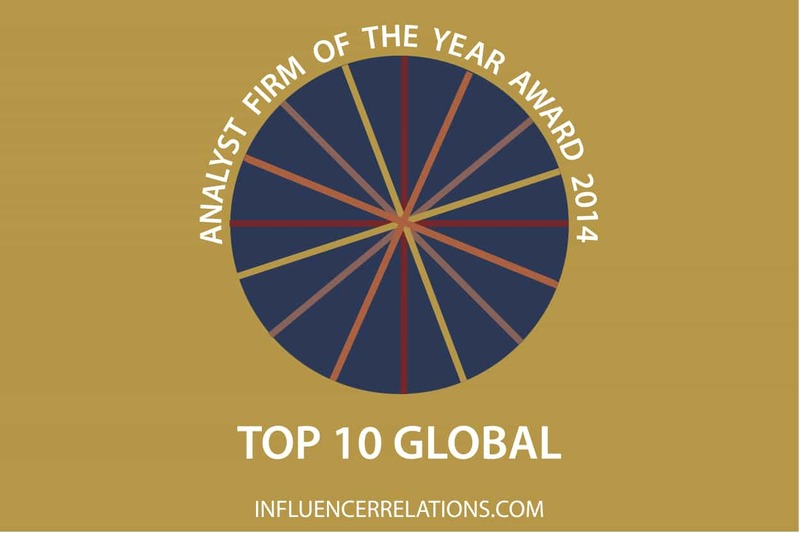 The other firms in the top ten Global firms are also worth mentioning. Everest Group: a huge business advisory firm, which is much more than an analyst firm. NelsonHall: a leading analyst in the BPO space, which showed great roots in the US market despite being British. 451 Group: a solidly places firm that’s held back by its low use of social media and freemium strategies.